This installment of Funded in the Alley is presented by Bond Collective. Leading the way in hospitality and luxury office space, Bond Collective designs environments that empower individuals and companies to be the best versions of themselves. We build collaborative workspaces curated around communities, and provide affordable alternatives for modern businesses to call home. Have any questions about what Bond Collective can offer your company? We’d be more than happy to offer you a personalized tour of any of our locations in the Financial District, Flatiron and Brooklyn. With the Affordable Care Act (Obama Care) and American Health Act (Trump Care) adding thousands of pages to healthcare legislation, it’s difficult to keep up with the changes and policies and most people are simply lost when it comes to securing health coverage. Vericred understands this struggle and is enabling health technology companies to build solutions that help individuals and businesses enroll, understand, and use their health insurance. The platform allows its customers to focus their resources on creating modern user experiences, helping consumers easily find the health insurance plans that fit their needs and budget. AlleyWatch sat down with CEO and cofounder Michael Levin to talk about the company and their most recent Series A round of funding. We raised a Series A round from FCA Venture Partners for $5.5M. 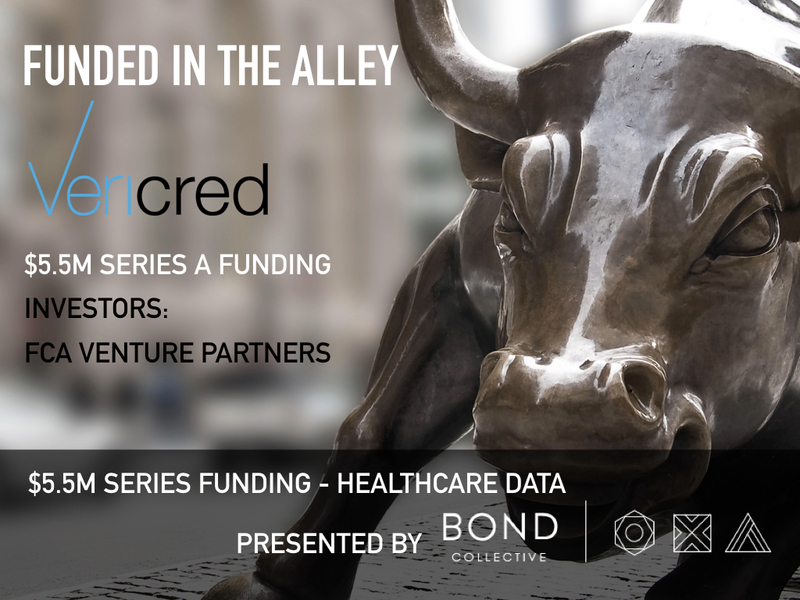 Vericred is a leading healthcare data services company which partners with carriers across the nation to deliver structured health insurance data to insurtech platforms that are transforming today’s healthcare industry. With a mission to drive innovation in healthcare through data, Vericred’s data solutions enable functionality, speed deployment, and reduce costs for health and insurtech companies, while its modern API allows for hassle-free data delivery for insurance carriers. I was shopping for health insurance for my family of six on Healthcare.gov and simply wanted to find a plan in which our five doctors participated. What I thought would be a 15 minute exercise became a six hour project because there was no “shop by doctor” functionality allowing me to enter my doctors to see who was in and who was out of each plan’s network. Instead, I had to go out to each carrier website, enter our doctors (often individually) to see what plans they participated in, and then combine all of this information. This was just inconvenient. Investigating the issue, we found that the lack of a central provider network database inhibited the development of this functionality. So we set out to solve the problem by founding Vericred. We think of ourselves as an infrastructure company or a utility company. We don’t build user-facing applications. 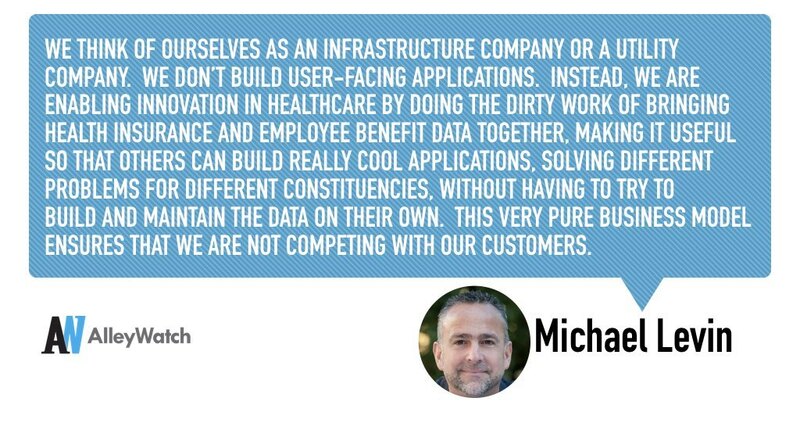 Instead, we are enabling innovation in healthcare by doing the dirty work of bringing health insurance and employee benefit data together, making it useful so that others can build really cool applications, solving different problems for different constituencies, without having to try to build and maintain the data on their own. This very pure business model ensures that we are not competing with our customers. We are enabling health insurance and employee benefit related applications across all segments of the market. It is very easy to build up to a market size in excess of $1 billion. We are a B2B, data as a service (DaaS) business. As such, we enjoy recurring revenue. How does uncertainty with the future of healthcare in the country affect your business? The likely changes in health insurance across all market segments will result in a more complex data environment. This is good for our business. The more difficult the data environment the more technology companies will need a data solution to enable them to deliver robust solutions to their customers. It was tough. We worked it like a sales pipeline process. We identified and reached out to roughly 100 VCs that appeared to be a fit based on domain, stage, check size and location. Roughly 70 of those requested a deck and we conducted initial calls with 50 of those. Ultimately, 10 VCs took a deeper dive. FCA shares our passion for enabling innovation by making the data easy. They were intrigued by the depth of the market and the extensibility of our data and data services. And importantly, our team and theirs have great chemistry. We are expanding the breadth and depth of our data by creating more datasets and being more granular, and introducing data services. Importantly, we are building out a sales team as the opportunity is deep. Cash is king! The funding environment has gotten tighter over the last 18 months. The gap between Seed and Series A has grown and it takes longer than you would think to raise capital. As such, you cannot assume that another round will be right around the corner. It’s all about execution. We are growing the team across data, engineering, sales and operations to deliver the products (data and data services) our customers need today and will want next year.